Maruti Suzuki is a household name in India. Being the largest passenger carmaker in the country since 1982, the company began its commercial vehicle operation in 2016. The automaker made its commercial vehicle debut with the launch of Maruti Suzuki Super Carry mini-truck. 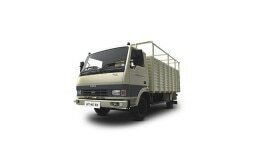 Maruti Suzuki currently sells only one mini-truck in the light commercial vehicle space and is contemplating further opportunities in this field. The Super Carry LCV is launched after a thorough research and understanding to cater customer requirement and provide them maximum profitability. The price of Maruti Suzuki Carry mini-truck starts at INR 4.03 lakh (ex-showroom). Maruti Suzuki has started its light commercial vehicle venture in-line with contemporary emission standards. The Super Carry is bestowed with latest BS-IV compliant engine and company will make sure its future product will be launched with the latest technology in the market. Maruti Suzuki has its roots in every corner of the country. The new commercial vehicle outlets add up to its huge nationwide car sales network that spans over 1471 cities and service network spread in over 1500 cities. Maruti Suzuki way before the launch of Super Carry in the domestic market, started exporting the same to South Africa and Tanzania and plans to explore more markets in the SAARC region.